The Zetas predicted that air travel would become increasingly risky. On July 23 a plane crashed in Taiwan, during rough weather but other planes were landing without problem. On July 24 a plane flying over Mali went missing, had diverted its path due to rough weather, and was found crashed the next day. On July 25 a plane flying to Barcelona, Spain was struck by lightning so severely that a forced landing occurred. Is this the new normal? The plane had taken off from Kaohsiung at 4.53 PM for Magong in Penghul, said Jean Shen, the head of the Civil Aeronautics Administration of Taiwan. The plane had lost contact with the tower at 7.06 PM after it had said that it would make a second attempt at landing. The visibility at the time the plane had approached had been 1,600 meters, which meet the standards that had been set for landing. The agency has also reported that two flights had landed before the GE222, one at 5.34 PM, while the other had been at 6.57 PM. However, it appears that the heavy rain had caused reduced visibility, and the plane had been forced to pull up in order to make a second attempt at landing. The investigation is expected to focus on a four-minute gap between the pilot's request for a second approach and the plane's crashing into village homes at 7:10 p.m., during which visibility dropped by half. 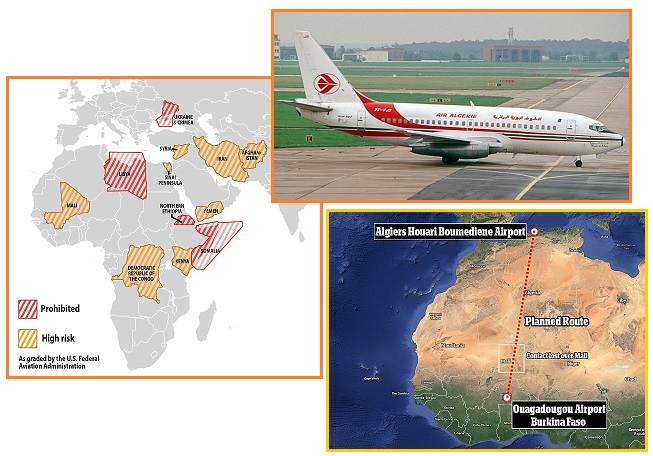 The disappeared Air Algerie flight AH5017 has crashed in Niger after flying through violent storms. The region was badly affected by violent storms and the plane was rerouted while it was flying over Mali. The flight was scheduled to land at its destination at about 05:10 local time. The strong smell of aircraft fuel at the crash site and the fact that the debris was scattered over a relatively small area also suggested the cause of the crash was linked to weather, a technical problem or a cumulation of such factors. An easyJet plane was forced to make an emergency landing today after flying out of Britain - when it was struck by lightning. The Airbus A319-111, believed to be carrying 156 passengers, was forced to land at Spain's Reus Airport. We were just flying over Barcelona and this storm came out of nowhere. The flight, from Bristol Airport, was due to arrive at Barcelona International at 10.10am local time. Everyone is fine but a lot of the women were screaming and crying and the cabin crew were flung down the plane. One guy even saw the lightning go all the way around the plane. For the past decade, the compass has been unreliable. 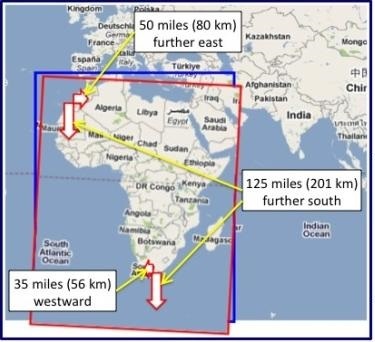 GPS likewise, as the Earth wobble moves the globe under the network of satellites, and the wobble is getting worse. Recently, two air planes landed in Missouri and Kansas 9 miles from their proper destinations, due to GPS failure. Recently 50 planes disappeared from radar over the Danube River in Europe, over a period of days. Pilots and the air traffic controllers are increasingly flying blind. Then there is the dramatic zapping of airplane electronics, as occurred for AF 447 in 2009 and MH 370 earlier this year. 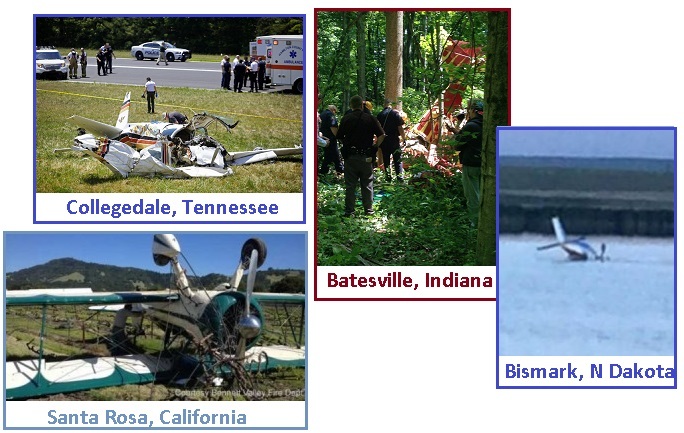 Which factors were responsible for these three airline disasters in July, 2014? The Zetas explain. 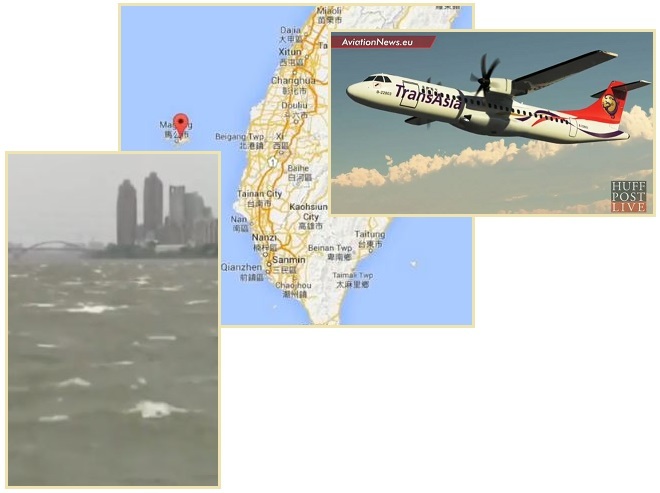 ZetaTalk Insight 7/25/2014: A TransAsia Airways was landing near Taiwan on July 23, 2014 in the aftermath of a Typhoon that had passed the region, and though several other planes were able to land just prior, at 7:06 pm local time the plane crashed into homes near the airport, killing 48 aboard. The Sun was high over India, so a side swipe of the charged tail of Planet X disrupted the steady state of the Earth’s magnetic field on the dusk side of the globe. One might call this an electro-magnetic flux, rather than pulse, but this is just as disruptive to electronics. Although the pilot was having difficulty landing, making a second pass, the public will only hear that rain created poor visibility. A SwiftAir plane encountered bad weather in Mali on July 24, 2014 just before dawn at 4:30 am local time and was later discovered crashed, all 116 aboard dead. The Sun was high over India at the time, a point when the Earth wobble swings to the right, but visibility was also affected by the atmospheric turmoil. Thunderstorms do not bring down aircraft, however, nor did the SwiftAir fly into a mountain. At pre-dawn over Mali, this plane also encountered a side-swipe of the charged tail of Planet X, stalling the engines long enough to plunge the plane into the ground. The public will only hear of bad weather, however. On July 25, 2017 an EasyJet landing in Spain close to noon at 10:10 am made an emergency landing as it had been devastated by lightning, all 116 aboard saved, thus. Planes are protected from lightning strikes, but this assault was considered so devastating the pilot was taking no chances. The assault was sudden, unexpected, and once again near water as both Barcelona and the emergency landing were along the coastline with the Mediterranean. As with the European radar outages on June 5-10, 2014 in the afternoons, the timing was when the Sun was overhead, close to noon. Facing Planet X, direct arcing to the charged tail occurred, and such lightning storms will likewise be on the increase, increasing devastation for air travel. Yet another airplane crashes due to electro-magnetic pulse. This time the crash was in the heart of Europe in the foothills of the Alps. The Zetas explain that stretch zones are susceptible to attracting the charged tail of Planet X, and the Eurasian Plate is under a stretch. March 24, 2015. A Germanwings Airbus A320 plane carrying at least 148 people crashed Tuesday in the foothills of the Alps in southeastern France. The plane crashed near Digne-les-Bains, in the Alpes de Haute Provence region. The cause of the crash was not immediately clear. There did not appear to be turbulence or low cloud ceiling in the area. ZetaTalk Summary 3/28/2015: We have repeatedly stressed that certain parts of the globe are susceptible to interaction with the charged tail of Planet X. This is certainly the case on the Sunda Plate, which is under continuous pressure to slip under the curve of the Indo-Australian Plate, as the MH 370 disaster shows. Stretch zones are most susceptible to the electromagnetic screech in the rock and the interplay with the charged tail of Planet X that causes interference with airplane electronics. This can be seen by AF 447 in 2009 while over the spreading Atlantic Rift. All of the Eurasian Plate, from the UK through to China, is under such a stretch. This can be seen in the hum in the UK and disappearing radar over the Danube River course and methane flashes in the Urals and the Sleepy Hollow phenomena. 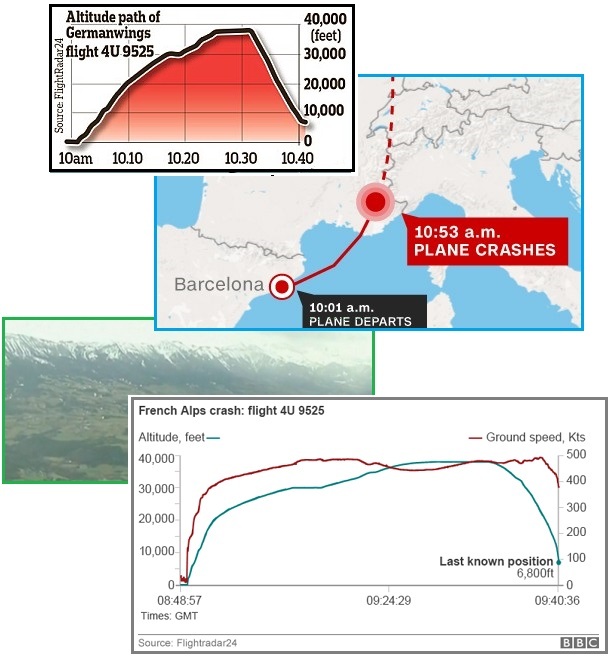 What was the cause of the Germanwings crash? What is known is that the plane reached cruising speed and then began a descent. Meanwhile there was no communication from the cockpit, though communication lines had been open just a minute before the descent. 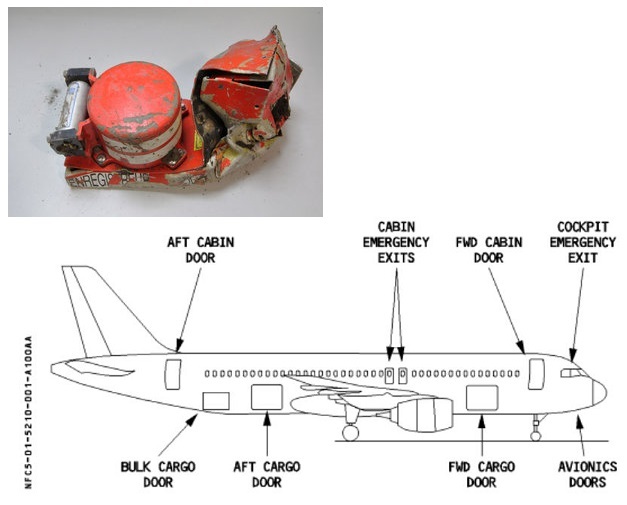 If there was total electronic failure, as happened for AF 447 in 2009 and MH 370 in 2014, with no oxygen pumped into the cockpit or passenger cabin, the pilot can become unconscious. Germanwings say they are not aware of any complications during the descent of the aircraft. It started descending one minute after reaching its cruising height and continued to lose altitude for eight minutes, before finally crashing. 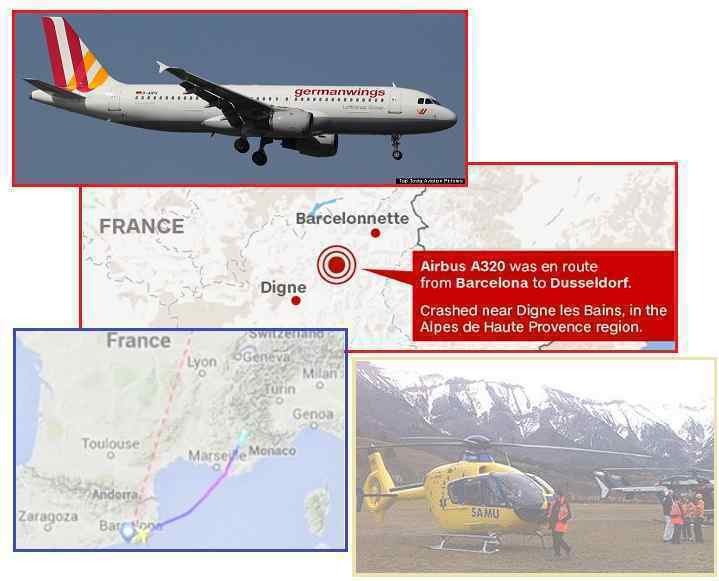 Air traffic controllers said they were in contact with the pilots of the Germanwings A320 aircraft just a minute before the plane started to descend. Air traffic controllers claimed they received no SOS despite the jet nosediving 32,000 ft in just eight minutes. It is understood to have crashed at more than 400mph. Without oxygen, the pilots and crew as well as the passengers will quickly become sleepy, confused, nauseous, and unconscious. If brain death occurs within four minutes, the stage where one is confused and unconscious occurs very quickly, in less than a minute. Electromagnetic pulse also affects electronics selectively, some incapacitated, some only damaged, but other managing to function. Electromagnetic pulse also makes one sleepy, as the Sleepy Hollow phenomena shows. Continued oxygen deprivation results in fainting, long-term loss of consciousness, coma, seizures, cessation of brain stem reflexes, and brain death. Symptoms of asphyxia vary but may include light-headedness, nausea, and gasping, followed by unconsciousness and death. An area quickly affected is the cerebral cortex, the brain center for speech and other conscious behavior; it can be irreparably damaged by as little as five minutes of oxygen deprivation. The electromagnetic pulse induces large currents in conductors that are part of or are connected to the equipment. These high currents can do the following: Induce voltages high enough to arc from one conductor to another, damaging whatever is connected to them. Induce voltages high enough to arc from a conductor to a device, damaging the device. Exceed the current-carrying capabilities of conductors or components in the device, damaging them. Induce voltages that exceed the voltage limitations of components in the device, damaging them. Induce voltages that exceed the breakdown voltage of insulation in the device, damaging other components. Cause voltage spikes that move atoms around in the doping of semiconductors, ruining them. Cause voltage spikes that puncture through the metallic oxide gates in semiconductors, ruining them. Cause all of the sparkplugs in an internal combustion engine to fire at the same time, stopping the engine. Damage the semiconductors in an electronic ignition system, stopping the engine and keeping it from running again. Blow fuses in electric power transmission lines, putting them out of service until the fuses are replaced. One of the flight data recorders, the voice recorder from the cockpit, was retrieved and revealed that up until the descent all was normal and calm. Then when they reached cruising altitude the pilot left the cockpit and went to the bathroom but could not get back in. In the limited audio released to the media, the pilot can be heard pounding on the door. However, A320 doors are electronically controlled, locking and unlocking electronically. Loss of electronic control would have locked the door and disabled the pad. Or there would have been frantic keypad buzzing, clicking of the toggle switch in the cockpit to re-lock the door, and intercom phone calls. None of this was mentioned by the media. Why not? Cockpit Door: A forward-opening door separates the cockpit from the passenger compartment. In an emergency it can be forced open in either direction. The door has an electric locking latch controlled by the door unlock pushbutton on the pedestal. To unlock the door, the pilot must press the pushbutton, and maintain it pressed. The audio indicated that one of the pilots left the cockpit and could not re-enter. “The guy outside is knocking lightly on the door, and there is no answer,” the investigator said. “And then he hits the door stronger, and no answer. There is never an answer.” He said, “You can hear he is trying to smash the door down.” Among the theories that have been put forward by air safety analysts not involved in the investigation is the possibility that a pilot could have been incapacitated by a sudden event such as a fire or a drop in cabin pressure. Arnoux also wonders why no mention was made by investigators of hearing the loud strident beeping made by the cockpit door console when the emergency access code is entered to open the cockpit door. Arnoux recognizes that the emergency unlock code could have been overridden by someone in the cockpit manually holding the lock button down, but this would not have prevented the beeping once the code was entered outside. This would have been the clearest confirmation that one of the pilots had been locked out. Yet no mention was made of it. The press is claiming the sounds of the co-pilot breathing steadily can be heard, thus his intention to commit suicide. This is more symptomatic of an unconscious co-pilot, as someone deliberately flying into a mountainside would be emotional and breathing rapidly. An unconscious co-pilot could also have fallen sideways onto the joystick, pushing it forward to cause the descent. The media only mentions turning a dial to control descent, which is an adjustment to the autopilot, not the joystick option. Manipulating the joystick overrides the autopilot. Why not? Because for airline profits to be maintained, the co-pilot is being blamed. 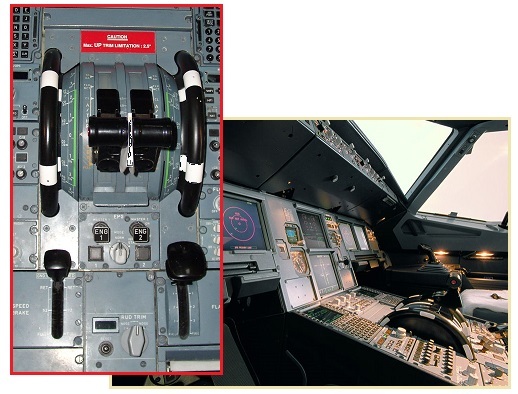 The A320 families typically used digital fly-by-wire control systems and control the aircraft by joystick at side-stick usually on right hand side, in commercial aircraft. I have a question specifically for Airbus drivers. In normal cruise configuration, should a pilot end up leaning on the sidestick, pushing it forward, what will the aircraft do? Thinking about a possible incapacitation scenario, ie slumped forward due to a heart attack or anurism or some such event. What would the aircraft do with normal cruise set on auto, but a sidestick pushed forward? ZetaTalk Analysis 3/28/2015: Has the public been allowed to hear the cockpit voice recorder? This will not be allowed, or only after it has been altered to fit the circumstances. What is missing at present is the door access buzzer. Normal exit and entry are via an intercom identification after a single keypad button is pushed. In an emergency a code can be typed into the keypad. It is true that the cockpit can block entry by pressing the lock button continuously. But during all or any of this, a buzzer is loudly sounding. If scraping chairs and a shutting door and steady breathing can be heard, where is the buzzer? The press has made much of the co-pilot breathing “steadily”, proof that he is alive and the crash deliberate. Anyone conscious and seeing a crash into a mountain side looming will not be calm. This is an involuntary response. He would be screaming, and rapidly breathing. Oxygen deprivation first involves confusion and sleepiness, then becoming unconscious, so unless alerted that the oxygen level is dropping, the co-pilot was unaware this was happening to him. How often do carbon monoxide deaths occur where the family is taken unaware? Compare the sounds of the last 60 seconds recorded on the Germanwings cockpit recorder to the sounds expected from an A 320 cockpit. Note that only the last 60 second were released to the media. Bild, a German magazine, also released the full transcript of the audio, which matches reports to date and the 60 second audio released to the media. If the electronic operation of the door were involved at any time, the intercom phone ringing would be heard. If this resulted in the co-pilot unlocking the door, or trying to push the toggle to lock so it could not be unlocked, the sound of the toggle would be heard as well as the keypad buzzer in the cockpit. If the co-pilot was ignoring these requests, then repeated keypad buzzing and toggle to lock would be heard, yet none of this was reported in the media. If, per the narrative being pushed in the media, the co-pilot had thrown a bolt on the door, then this too would be heard on the tape, as the media is claiming that a chair scuff on the floor and the sound of a shutting door could be heard. And in any case, the keypad would be tried, at least at first. The last 60 seconds include only pounding on the door with voices in the background, an alarm a few seconds before impact, more voices in the background and at the very end yet another alarm or call. None of the sounds on the recording match the anticipated intercom or keypad sounds. So what caused the crash? The African Roll may have only just started, but there are signs that the Mediterranean is pulling apart while the African Plate drops. This stretch does indeed affect the foothills of the Alps. ZetaTalk Comment 3/28/2015: Recently passengers on a flight from Barcelona to Israel grew faint from methane gas brought into the plane as it traveled along the spreading Mediterranean rip. 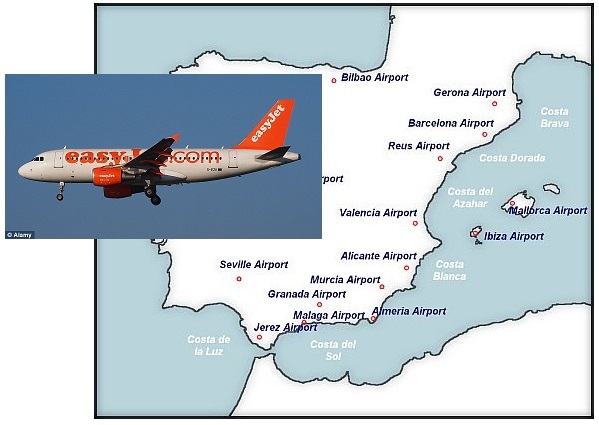 Barcelona was in the news again when an EasyJet was struck by lightning. We have predicted that the African Roll will pull Gibraltar apart by an additional 125 miles. The Mediterranean in the past was a swamp, but now is a sea, due to such actions in the past. When the edge of the Eurasian Plate loses support along the Mediterranean, what does this do to the rock in the area? Rock being pulled apart does not just register distress at the rip point. Rock layers are attached, glued to other rock layers and to seams within the rock layers themselves for long distances. The Germanwings A320 was rising above the Alps, at the very foothills where in the past the rock had been jammed under the high Alps. The foothills of the Alps present a complicated situation, where rock layers below the Alps are subject to the long reach of the stretching of the Mediterranean, while the weight of the Alps prevents these pulled rock layers from being able to adjust. It is thus an aggravated stretch zone, and thus dangerous for air travel. CERN also had magnetic problems, just two days before and in the days after the Germanwings airplane crashed. CERN uses magnets intensively, and thus would be subject to the electromagnetic pulse that disabled the Germanwings plane in the French Alps. 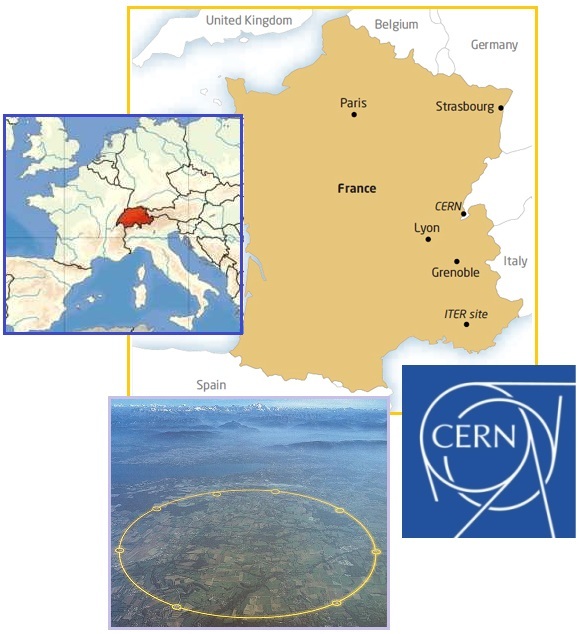 CERN is located in Geneva, nearby, also on the Franco-Swiss border. Early last Saturday morning [March 21], while full-scale tests of all systems were ongoing in preparation for beam injection, an earth fault developed in the main dipole circuit of sector 3-4 of the Large Hadron Collider (LHC). All the protection systems worked properly and there was no harm done. The fault developed at relatively low current and was initially intermittent in nature. Engineers had been expected to start on Wednesday [March 25] pumping proton beams in opposite directions all the way round the two 27-km (17-mile) underground tubes in the LHC, closed down for the past two years for a refit. Scientists at Europe's CERN research centre have had to postpone the imminent relaunch of their refitted 'Big Bang' machine, the Large Hadron Collider, because of a short-circuit in the wiring of one of the vital magnets. In the days following the crash of the Germanwings plane, on March 27, the Netherlands had an extensive blackout affecting Amsterdam and the entire region. And on March 31 Turkey had an extensive blackout affecting half the country. Per the Zetas, the European stretch is once again the cause. How will the establishment react? To date, they have presented a cover-up. AF 447 in 2009 was declared due to a pilot error and bad weather. This despite the fact that an automated technical report indicated that the electrical systems were shutting down, one by one. MH 370 was blamed on pilot suicide and bad weather too. A succession of a dozen technical messages showed that several electrical systems had broken down, most ominously the pressurization system - a totally unprecedented situation in the plane. A succession of a dozen technical messages (showed that) several electrical systems had broken down. At 1h51m, the cockpit becomes illuminated by a strange electrical phenomenon. The two copilots discuss the unusually elevated external temperature, which has prevented them from climbing to their desired altitude. Suddenly, a strange aroma, like an electrical transformer, floods the cockpit, and the temperature suddenly increases. Just then an alarm sounds for 2.2 seconds, indicating that the autopilot is disconnecting. Note, however, that the plane has suffered no mechanical malfunction. The word "Stall!" will blare through the cockpit 75 times. The Germanwings crash cannot blame the weather, which was perfect. Per the Zetas, the airline industries will not allow the truth to be told. Profits come first, and the lives of the common man are the least of their concerns. ZetaTalk Comment 3/28/2015: The public will never learn the truth, as in all such cases electromagnetic interference is dismissed, the profits and jobs involved in the airline industry taking precedence of the truth. This will result in any case as the public gets leery of air travel, insurance costs rise, and airline companies go out of business. During a 5 day period from June 8-13, 2016 the portion of the N American continent most affected by the bow stress was afflicted by numerous small plane crashes. The bowing of the N American continent pulls the Aleutian Islands toward the tip of Mexico, with the center of the bow near San Diego. Thus, in a swath across the center of the US, small planes were suddenly crashing, with no warning, with no communications from the cockpit in most cases, a clear sign they were afflicted by Electro-Magnetic-Pulse. This onslaught showed up on the Global Incident Map for aviation. 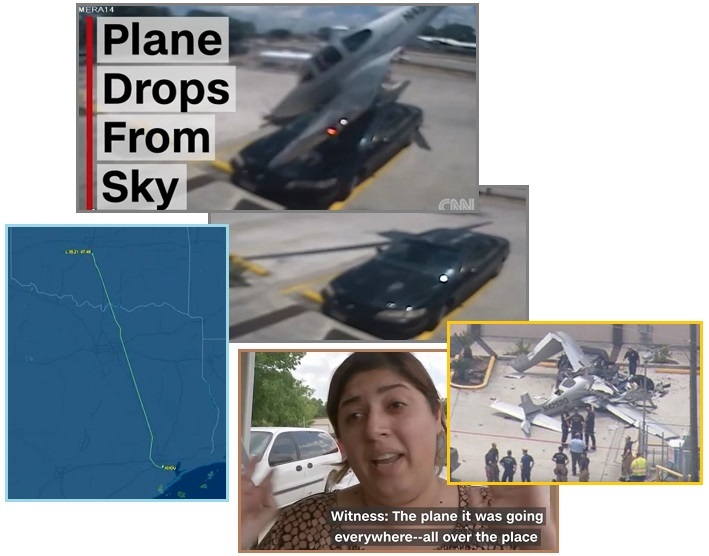 One of the most publicized incidents was the spinning crash of a small plane in Houston on June 9. The pilot reportedly made repeated attempts to land the plane, aborting each time due to his lack of control over the planet. It appears the pilot had also lost communications. Then in a final fatal spin, the plane crashed, killing all on board. The plane had flown from Oklahoma to Houston, crashing at its destination. The NTSB is investigating the cause of a single-engine plane crash that killed three people in Houston. The pilot of a plane that crashed near a Houston airport halted a third attempt to land just before it plummeted to the ground, killing all three inside. It's unclear whether the pilot made a distress call just before the crash that happened. The plane was in a flat spin before it plummeted to the ground nose-first. Not a day later near Hawthorne, California, a small plan dove into an apartment complex. No distress signal had been relayed, no communications whatsoever. Unless the pilot had a heart attack, the clear answer is yet another incident of Electro-Magnetic-Pulse disabling the electronics on the plane. A small plane slammed into a two-story townhouse in Hawthorne, in the south west of Los Angeles County. Hawthorne Municipal Airport is less than two miles from the crash site. The Federal Aviation Administration and the National Transportation Safety Board will investigate the crash. The plane went down around 5:12 p.m. in the 4600 block of W. Broadway killing two people on board. The aircraft slammed into two townhouses in the complex. The aircraft, described as a Grumman American AA-1B, crashed two miles west of the airport under unknown circumstances. Other incidents include a crash near Batesville, Indiana on June 8 which was blamed on an unexplained “mechanical problem”. Investigation ongoing. Another on June 10 crashed into May Lake near Bismark, N Dakota which is being blamed on the youth of the pilot. Investigation here also ongoing. Then on June 11 the pace picked up with a crash in Santa Rosa, California where the plane ended upside down in a field. The aircraft had reportedly been making “odd sounds” and the pilot, who survived, was having problems with the throttle. Another near Collegedale, Tennessee during a failed landing. Apparently, there were no communications and no survivors. The crash occurred near Three Mile Road and Enochsburg Road around 11:45 am. An initial investigation determined that the plane was a homemade ultralight single person aircraft. The pilot took off from the airport and soon experienced a mechanical problem. The aircraft then went down in a heavily wooded area not far from the airport. The investigation into the crash is ongoing. The four-seat plane crashed into May Lake near the town of Wishek while en route to Bismarck. Complications during takeoff from Wishek's airport resulted in the crash. The Federal Aviation Administration is investigating. Personnel from the Bennett Valley Fire Department could hear a plane flying low in the area making an odd sound around 10 a.m. A short time later, the department received a report of a small plane crash in a vineyard near 6500 Jamison Road. Emergency responders arrived on the scene to find the biplane aircraft upside down in the vineyard. The pilot had been flying in the area when he realized there was a problem with the plane’s throttle, causing the aircraft to idle. A single-engine plane crashed around 12:50 p.m. at the Collegedale airport. The plane was coming into the Collegedale airport when it crashed. She said she did not if anyone else outside the plane was injured or if there was property damaged in the crash. Collegedale is a city about 20 miles east of Chattanooga. What’s causing this increase in Electro-Magnetic-Pulse (EMP) on the N American continent? The N American continent is a flat top, unable to roll, and thus as the Atlantic expands and the Pacific shortens, Mexico pulled to the west, there is unrelieved diagonal stress on the N American continent. This is resolved when the New Madrid rips open, but until this occurs the rock is screaming. Compression in the rock squeezes air out of pockets in the rock, allowing electricity to rise unimpeded through the rock layers and arc to the charged tail of Nibiru. Booms are back with a fury in 2016, and dramatic blackouts occurred along the East Coast in 2015 as did a derailed Amtrak train in Philly. ZetaTalk Prediction 2/10/2006: The giant plates of N America and Eurasia are locked against each other, unable to rotate against each other due to their shape. But the primary drama preceding the pole shift will be the ripping action that a plate unable to move must endure. ZetaTalk Prediction 1/10/2015: We have consistently warned that electro-magnetic pulse, the arcing from the electronic screech in compressed rock to the charged tail of Planet X, will be on the increase. This brings down the grid, as surge and brownout destroy electronic infrastructure and electronic grids are designed to protect themselves thus. Blackouts, electronically damaged airplanes, and interference with mankind’s satellites will be on the increase. ZetaTalk Prediction 5/28/2016: We have stressed that airplane travel will get increasingly risky, due to EMP which is already taking planes down in dramatic fashion. The helicopter was attempting to make a “hard landing,” the sheriff said, when it struck a telephone pole. That caused one of the rotor blades to break off, fly across the street and strike a Chevrolet Silverado pickup truck that was traveling north on S 50th Street.he severed rotor killed a passenger, the father of the driver. ENTIRE GLOBAL FLEET TO BE GROUNDED : Pain coming for the airline industry. Flight ban ordered by President Trump as new evidence emerges at Ethiopia crash site along with satellite data. Months after a deadly crash in Indonesia involving the same model, a Boeing 737 MAX 8 has crashed on its way to Nairobi, Kenya, carrying 149 passengers and eight crew members, minutes after take-off. Operated by Ethiopian Airlines, the Boeing 737 MAX 8 was on a routine flight from Addis Ababa, Ethiopia to the Kenyan capital. The airline confirmed that there were no survivors. ANAHUAC, Texas - A twin-engine Boeing 767 crashed into Trinity Bay near Anahuac just before 12:45 p.m. Saturday. The Federal Aviation Administration said initial reports indicated that there were three people on board. The Chambers County Sheriff's Office says there were no survivors. The FAA said initial reports indicated the plane was owned and operated by Atlas Air, Inc. The Houston Police Department said it is sending its marine officers to the scene and the Harris County Sheriff's Office said it is sending personnel to assist with the crash. @HCSOTexas is sending personnel to assist our partners in Chambers County with rescue efforts related to a plane crash. Teammates headed to Trinity Bay near Anahuac,Texas. What does a 767 cargo jet look like? It is a mid to large size jet airliner with a seating capacity for 181 to 375 people. The plane was on its way to George Bush Intercontinental Airport from Miami when it crashed, the FAA said. According to Atlas Air Inc.'s website, the company transports items from "precious perishables or heavy construction equipment to arranging passenger charters for celebrities or dignitaries." Below is a picture of the plane's flight path into Houston from Miami before the deadly crash. "A twin-engine Boeing 767 cargo jetliner operated by Atlas Air Inc. crashed into Trinity Bay near Anahuac, Texas, shortly before 12:45 p.m. (Saturday). "The Federal Aviation Administration issued an Alert Notice (ALNOT) on Atlas Air Flight 3591 after losing radar and radio contact with the Boeing 767 approximately 30 miles southeast of Houston George Bush Intercontinental Airport. The aircraft was flying from Miami to Houston. "Initial reports indicate three people were aboard the aircraft. "Please contact local search and rescue officials for further information about the emergency response. "FAA investigators are on their way to the accident site and the National Transportation Safety Board has been notified. The NTSB will be in charge of the investigation. "The FAA and NTSB do not release names of people aboard aircraft. We defer to local officials to do that at the appropriate time. "This is a developing story, please check back for details. Firefighters work where a plane crashed into a home in Yorba Linda, California. 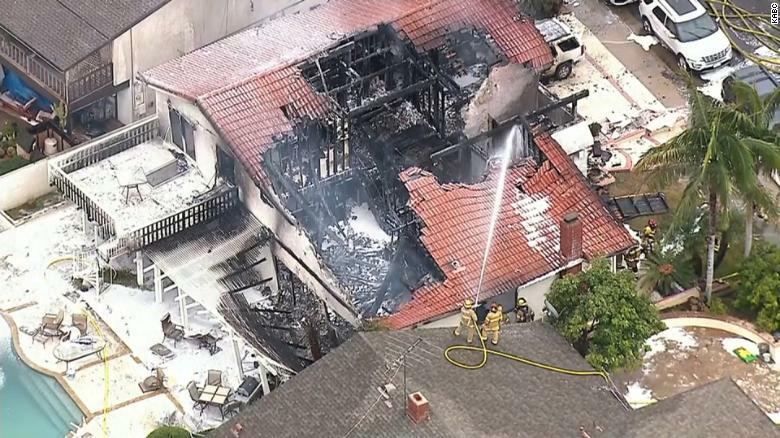 (CNN) Authorities identified the pilot of a twin-engine plane that broke up in the sky and slammed into a Southern California house on Sunday, killing the pilot and four people in the house. Antonio Pastini, 75, of Gardnerville, Nevada, was identified Monday as the pilot, according to Lt. Cory Martino, Yorba Linda chief of police services. Pastini was a retired Chicago police officer, Martino said. Pastini was also a commercial pilot, National Transportation Safety Board officials said Monday. The coroner is in the process of identifying the other four victims and notifying the next of kin, Martino said. The four dead include two males and two females. "Unfortunately, the condition of the additional four deceased will require the use of additional measures, such as DNA, to obtain official identification," he said. "This type of identification can take time." Martino added that "based on initial information received by the individuals who survived the incident, we believe the individuals were members of a family attending a gathering. The plane's flaming wreckage injured three other people, damaged houses, and left debris over four blocks in the community of Yorba Linda, about 33 miles south of Los Angeles, authorities and affiliate reports said. At a news conference Monday, NTSB lead investigator Maja Smith said Pastini left Fullerton Municipal Airport in a 1981 Cessna 414A around 1:35 p.m. Sunday. It was not clear what his destination was, Smith said. According to preliminary radar data, the plane made a left turn, climbing to 7,800 feet, and went 10 miles out before making a "rapid descent" into the neighborhood, said Eliott Simpson, an NTSB accident investigator. He said that, based on video he'd seen and the debris field, the plane appeared to have broken up in the air. "A few witness reports say that they saw the airplane coming out of a cloud at a very high speed before parts of the airplane ... started to break off," Smith said Monday. "Parts of the airplane impacted a house that had four people. All of them perished in the fire." Witnesses Smith spoke with said they saw a plane coming out of a cloud and it was still in one piece. "And then they saw the tail breaking off, then wings breaking off and then subsequent smoke before the airplane impacted the ground," she said. The debris flew across about four blocks in the area, covering about 15 to 16 homes, Smith said. 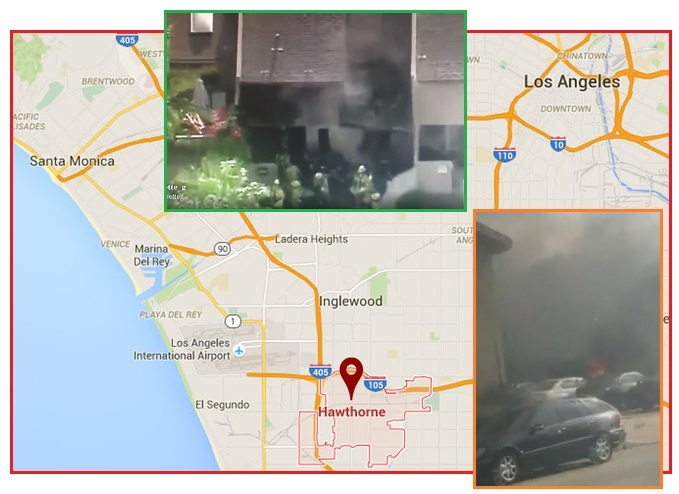 The Orange County Fire Authority said the "debris ignited a massive inferno at one home, quickly engulfing the two-story structure before spreading to a second home," KTLA reported. The station said video on social media captured images of "panicked residents rushing about the street." One of the challenges for NTSB, Smith said, was collecting the debris because of how widespread it is. "Our focus was getting all those parts collected," she said, adding that the wreckage will be taken to Phoenix for examination. The plane's maintenance records have not been recovered yet, Smith said. Smith said the NTSB will also look at Pastini's pilot history, medical records and flight experience. They'll also be looking at the structural integrity of the plane and where and why it broke up. The environmental impacts will also be examined. The command post set up at Glenknoll Elementary School, which led to the school being closed on Monday, was relocated Monday afternoon. Martino said the school will reopen Tuesday. CNN's Chris Boyette and Darran Simon contributed to this report. TOKYO — A Marine refueling plane and a fighter jet crashed into the Pacific Ocean off Japan’s southwestern coast after colliding early Thursday (Nov 6), and rescuers found two of the seven crew members, one of them in stable condition, officials said. The crash took place 320 kilometers (200 miles) off the coast, according to the U.S. military. Japanese officials said it occurred closer to the coast, about 100 kilometers (60 miles), and that’s where the search and rescue mission found two crew members. 1 week shy of last years T-38 Talon crash and death of pilot at Laughlin Air Force Base, Texas, we now have another death of a pilot and another injured following a crash of the T-38 Tuesday (Nov 13). A pilot died and another was injured Tuesday when an Air Force trainer aircraft crashed at Laughlin Air Force in Texas, Air Force officials said. Authorities did not identify the pilots, pending notification to their families. The injured pilot was taken to the Val Verde Regional Medical Center with unknown injuries. The T-38C Talon went down around 7:40 p.m. on the Del Rio military installation, located a few miles near the U.S.-Mexico border, an Air Force statement said. Emergency responders were at the scene. The cause of the crash is still under investigation. "Additional details will be provided as information becomes available," Laughlin AFB officials said in a statement posted on Facebook. The T-38 Talon, manufactured by Northrop Grumman, is a two-seat, twin-engine supersonic jet trainer, Patch Downtown Austin reported. More than 210 aircraft losses and ejections have been documented over the aircraft's lifetime since its debut in the 1950s, according to Wayback Machine, a website that documents plane crashes. Last year, a pilot instructor was killed when his T-38 crashed a few miles from the base, according to the Air Force Times. Lion Air plane crashed into the sea just minutes after taking off from Indonesia's capital on Monday, likely killing all 189 people on board, in a blow to the country's aviation safety record after the lifting of bans on its airlines by the European Union and U.S. 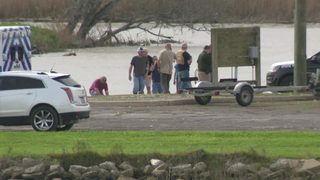 The search and rescue effort has recovered human remains, and based on their condition, one of its top officials said they're not expecting to find any survivors. More than 300 people including soldiers, police and fishermen are involved in the grim search, retrieving aircraft debris and personal items such as a crumpled cellphone, ID cards, bags and photos from the seas northeast of Jakarta. The accident involving a new plane has stunned Indonesia, and President Joko Widodo ordered the transport safety commission to investigate. He urged Indonesians to "keep on praying" as rescuers search for victims. An air transport official, Novie Riyanto, said the flight was cleared to return to Jakarta after the pilot made a "return to base" request two to three minutes after taking off. It plunged into the sea about 10 minutes later. Weather conditions were normal but the aircraft had experienced a technical issue on its previous flight. Distraught friends and relatives prayed and hugged each other as they waited at Pangkal Pinang's airport and at a crisis center set up at Jakarta's airport. Indonesian TV broadcast pictures of a fuel slick and a debris field in the ocean. At the search agency's headquarters in Jakarta, family members arrived, hoping desperately for news. Feni, who uses a single name, said her soon-to-be-married sister was on the flight, planning to meet relatives in Pangkal Pinang. "We are here to find any information about my younger sister, her fiance, her in-law to be and a friend of them," said Feni. "We don't have any information," she said, as her father wiped tears from reddened eyes. "No one provided us with any information that we need. We're confused. We hope that our family is still alive." The search and rescue agency said the flight ended in waters off West Java that are 30 to 35 meters (100 to 115 feet) deep. The agency's chief, Muhammad Syaugi, told a news conference that divers are trying to locate the wreckage. Weather conditions for the flight were safe, according to the Indonesian meteorology agency. It said clouds associated with turbulence were not present and winds were weak. The Boeing 737 Max 8 was delivered to Lion Air in mid-August and put in use within days, according to aviation website Flightradar24. It was leased from China Minsheng Investment Group Leasing Holdings Ltd., according to the official China News Service. Malindo Air, a Malaysian subsidiary of Jakarta-based Lion Air, was the first airline to begin using the 737 Max 8 last year. The Max 8 replaced the similar 800 in the Chicago-based plane maker's product line. Lion Air president-director Edward Sirait said the plane had a "technical problem" on its previous flight from Bali to Jakarta but it had been fully remedied. He didn't know specifics of the problem when asked in a TV interview. The pilot of Flight 610 had more than 6,000 flying hours while the co-pilot had more than 5,000 hours, according to the airline. "Indeed there were reports about a technical problem, and the technical problem has been resolved in accordance with the procedures released by the plane manufacturer," he said. "I did not know exactly but let it be investigated by the authorities.".." Lion Air: How could a brand new plane crash? Lion Air flight JT 610 has crashed into the sea, with nearly 190 people on board, shortly after taking off from the Indonesian capital, Jakarta. A lot of attention has focused on the fact the plane, a Boeing 737 MAX 8, was brand new. This is the first major incident involving that kind of plane. Details so far have been scant and the cause will not be confirmed until a full investigation has been carried out. Plane crashes are often the result of a combination of factors - both technical and human - but could the fact that the plane was so new have played any part?.." An Air India plane with some 370 passengers on board escaped disaster by just a whisker as it managed to land safely despite a concurrence of adverse conditions. According to NDTV, the plane from New Delhi to New York was supposed to land at JFK airport on September 11, but landed in Newark instead because of a series of technical failures, bad weather and low fuel. Flight AI-101 Captain Rustom Palia went on to described how there was only one radioaltimeter functioning and the Traffic Collision and Avoidance System had failed. Prospects became even bleaker when the pilots discovered they couldn't even rely on the automatic landing system, namely the Instrument Landing System (ILS) receivers. These are crucial for a plane landing on the right path in bad weather, which the Boeing 777-300 was in the process of doing that day. “Basically, we've got a single source radio altimeter, we have a Traffic Collision and Avoidance System failure,” the commander of Air India 777-300 reported to Air Traffic Control in New York via radio. The plane miraculously managed to safely land in Newark, where emergency teams had gathered on standby as a precaution. Eighty people have been injured in the crash, the Durango state civil protection spokesman has said. The state governor says none were killed. According to the Mexican transport minister, the plane had 97 passengers and four crew members on board.